The best thing I ate in Turkey was this pita pizza. It’s a savory pizza wrapped in a pita shape. On my Culinary Backstreet tour, I was shown a restaurant that only makes these in four different flavors. 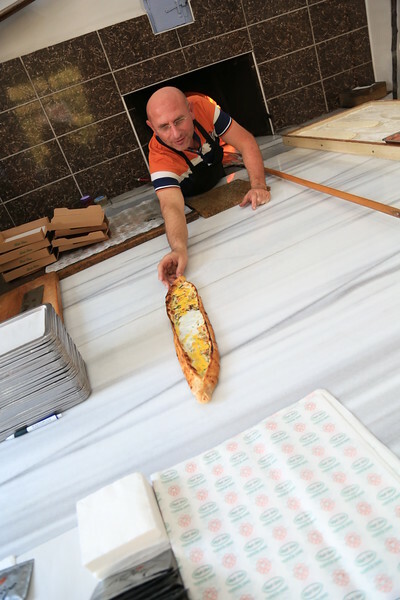 They sell them to other restaurants in Instanbul that then serve it to their customers. The closest thing I’ve found to it in DC is Khachapuri at Compass Rose, which comes more sweet than savory.